“Yuki Onodera: A Creative Journey over Two Decades”, Tomoko OKABE. “Transvest”, Dana Friis-Hansen, Nazraeli Press, USA, 2004. “Yuki Onodera: A Cast of Shadows”, Evence VERDIER, Art Press (magazine), Paris, No.310, March, 2005, p.52-54. “How to travel from your room”, Jean Loh, ArtChina, September, 2012. “Oddball world of Yuki Onodera develop in black and white”, Edan Corkill, Herald Tribune/Asahi, Sep. 15, 2006. “The return of Perceptivity”, Lin YE, Art Basel Hong Kong, Mar, 2016. “Onodera Yuki”, The Museum of Modern Art, Gunma, Japan, 1999. “How to make a pearl”, Nazraeli Press, U.S.A., 2002. 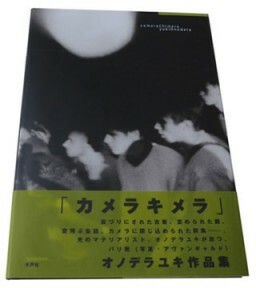 “cameraChimera”, Artist book, Tokyo : Suiseisha Publications, 2002. “transvest”, Artist book, Nazraeli Press, U.S.A., 2004. “Yuki Onodera”, The National Museum of Modern Art, Osaka, 2005. “Yuki Onodera”, Shanghai Art Museum, Shanghai, 2006. “Yuki Onodera”, Keumsan Gallery, Heyri Art Valley, Korea, 2007. “Yuki Onodera”, Beijing Keumsan Gallery, China, 2008.
: Tankosha Publications, Tokyo, 2010. “Yuki Onodera”, The Museum of Photography, Seoul, Korea, 2010. 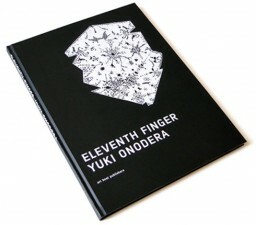 “Eleventh Finger”, Artist book, art beat publishers, Tokyo, 2014. “Yuki Onodera”, Solo Show-Art Basel Hong Kong, Vanguard Gallery, Shanghai, 2016. “New Cosmos of Photgraphy”, Tokyo : P-3 Art and Environment, 1992. “25 Ounce-no-Neko”, Artist book, Tokyo : Hakusuisha, 1993. “New egoism 88”, CD-ROM, Tokyo : Canon, 1996. “The 2nd Tokyo International Photo-Biennale”, Tokyo : The Tokyo Metropolitan Museum of Photography, 1997. “Floating Images of Women in Art History”, Utsunomiya, Japon : Tochigi Prefectural Museum of Fine Arts, 1997. “Sosie”, Tokyo : Sagacho Exhibit Space, 1997. “Photobiennale’ 98”, Moscow : The Museum Moscow House of Photography, 1998.
: The Tokyo Metropolitan Museum of Photography, 1998. “21st Anniversary Zeit-Foto”, Tokyo : Zeit-Foto Salon, 1998. “Jeux de genres”, Paris : le Fonds Municipal d’Art Contemporain, 1998. “An Incomplete History”, Rochester, U.S.A. : Visual Studies Workshop, 1998. “Zeitgenössische Fotokunst aus Japan”, NBK ( Neüer Berliner Kunstverein ), Berlin. 1999. “Internationale Fototage Herten”, Herten, Germany. 1999. “Zoo”, Catalog, Issue 2, London : Purple House Ltd, 1999. “Zeit-Foto NICAF 1999”, Tokyo : NICAF / Zeit-Foto Salon, 1999. “City of Girls / Venice Biennale: 7th International Architecture Exhibiton”, Venice : Japan Foundation, 2000. “Sanya Photography Gallery”, Shanghai, China. : Sanya Photography Gallery, 2000. “Illusion”, Stockholm, Sweden : Swedish travelling Exhibitions, 2001. “Zeit-Foto Off Triennale”, Tokyo : Zeit-Foto Salon, 2001. “The Built and the Living”, Luxembourg : Café- Crème asbl, 2002. “BLINK”, Book, London : Phaidon press, 2002. “Mask of Japan”, aura gallery, Shanghai, China, 2003. “Roppongi Crossing -New Visions in Japanese Contemorary Art 2004”, Mori Art Museum, Tokyo, 2004. “out of the ordinar / extraordinary”, Fondation du Japon, 2004. “Apparently Light”, Luxembourg : Café-Crème asbl, 2004. “Life Actually”, The Museum of Contemporary Art Tokyo, 2005. “36 Photographers- 30 years of Ihei Kimura Award”, Asahi Camera, Tokyo : The Asahi Shimbun, 2005.
and University of Richmond Museum, 2005. “Guide of Japanese Photographic history”, Shinchosha, Tokyo, Sep. 2005. “The photography beyond 20 years from Tsukuba Museum of photography”, Sendai Mediatheque, Japan, 2006. “Quintessence”, l’Ecole des Beaux-Art de Nîme, Nîme, France, 2006. “Face à Faces”, France, : Association française d’action artistique (AFAA)/ADP, 2006. “Taille Humaine”, Paris, : Art Sénat / Area revues, 2006. “Die Liebe zum Licht”, Kunstmuseum Celle/Städtische Galerie Delmenholst/Kunstmuseum Bochum, Germany. 2006. “Les Peintres de la Vie Moderne”, Centre Pompidou Paris, 2006. “La Photographie en France 1970-2005”, Book by Christian Gattinoni : Culturesfrance, Paris, 2006. “Japon-la lumière et la ville-photographies / Yuki Onodera+Pierre Faure”, Images du Pôle, Orléans, France, 2006.
sous la direction de M. Philippe DAGEN, Paris, Université Paris I-Panthéon-Sorbonne, 2006-2007. “Paris du monde entier Artistes étrangers à Paris 1900-2005”, The National Art Center, Tokyo, 2007. “Fascitation”, Gallery X-Takashimaya, Heyri, Tokyo, 2007. “L’été Photographique de Lectoure 2007”, Centre de Photographie de Lectoure, France. “Japanese Contemporary Art Festival”, Heyri Art Valley, Korea, 2007. “Japan Caught by Camera”, Shanghai Art Museum, Shanghai.Chine, 2007. “Drömmen om verkligheten”, Marie Lundquist, Journal, Stockholm, 2007. “7 Views Toward the World”, Gallery Touchart, Heyri Art Valley, Korea, 2008. “The history of arts and cities-Paris, New York, Tokyo and Shanghai”, Sendai Mediatheque, Japan, 2008. “Zeit-Foto Paris Photo 08”, Tokyo : Zeit-Foto Salon, 2008. “Elles@centrepompidou”, Centre Pompidou, Paris. 2009. “Paysges de la Conscience”, International Photography Biennale, Museo de Arte Moderno de Bogotá, Colombia, 2009. “Ce qui est à voir est ce que vous voyez”, Rencontres d’Arles 2009, Arles, France, 2009. “Incheon Art Platform Opening Exhibition”, Incheon Art Platform, Incheon, Korea, 2009. “8th Shanghai Biennale”, Shanghai Art Museum, Shanghai, China, 2010. “Beyond the body”, Museum of Contemporary Art, Shanghai, China, 2010. “Rétrospective du Prix Niépce”, Mois de la Photo, Musée du Monparnasse, Paris, 2010. “So+Zo Movement”, The Museum of Bonkamura, Tokyo, Japan, 2010. “Jamais le même fleuve”, Maison d’art Bernard Anthonioz, Nogent-sur-Marne, France, 2011. “The child within un / from the collection”, The Tokyo Metropolitan Museum of Photography, Tokyo, 2011. “The Collection of National Museum of Art, Osaka-2012”, The National Museum of Art, Osaka, Japan, 2012. “Hundred Flowers profuse blooming / Scenes of the Women”, Yokosuka Museum of Art, Yokosuka, Japan. 2012. “The Aesthetics of Photography”, The Tokyo Metropolitan Museum of Photography, Tokyo. 2013. “Contemporary photography in Asia”, Book, Prestel, London, 2013. “De Marseillaise – fifteen years of collecting”, Huis Marseille Museum for photography, Amsterdam. 2014. “Dancing Light”, Huis Marseille Museum for photography, Amsterdam. 2014. “Between Ceramics and Light”, Takashimaya X Gallery, Tokyo, Osaka, Kyoko, Yokohama, Japan. 2015. “Fashion for Children”, Iwami Art Museum, Shimane, Kobe Fashion Museum, Hyogo and Tokyo Metropolitan Teien Art Museum, Japan. 2016. “Unborn Memories”, Shinichi HIRASAWA, Review (leaflet), Tokyo : Ise-Kôbô, Apr. 1993. “ONODERA Yuki”, Yasushi KURABAYASHI, Review (leaflet), Tokyo : Ise-Kôbô, Apr. 1993. “Interview”, Kohtaro IIZAWA, Photo Technic (magazine), No.105, Tokyo : Genkosha, Sep. 1993. “Le Blanc et La Boule”, Michel ORSONI, VIS A VIS No.15 (magazine), Paris : Vis a Vis International, Feb. 1994, p.70-73. “Down to Zero”, Kotaro IIZAWA, Kitchen Chimera, Tokyo, Feb, 1995. “On murmure dans un monde suspendu”, Kyoko HIRABAYASHI, Brutus (magazine), Tokyo:Magazine House, Mar.1995, P.118. “L’obscur fort”, Kyoko HIRABAYASHI, Studio Voice, No.232 (magazine), Tokyo : Infas, Apr. 1995, p.66-67. “Yuki ONODERA – DOWN”, Erimi FUJIWARA, Hato-yo (magazine), Tokyo : Magazine House, Apr. 1995, p.35. “Onodera Yuki”, Yoko HAYASHI, BT, Vol.47 No.706 (magazine), Tokyo : Bijutsu Shuppansha, May. 1995, p.313-314. “Down”, Hideto AKASAKA, Asahi Camera (magazine), Tokyo : The Asahi Shimbun, May 1995, p.116. “L’image et l’idée de la délivrance”, Osamu HIRAKI, Asahi Camera (magazine), Tokyo : The Asahi Shimbun, May 1995, p.119. “Le récit parfait de la convergence et la diffusion”, Mari KOTANI, Taiyo (magazine), Tokyo : Heibonsha, Jun. 1995, p.108. “Portraits de Fripes”, CharlElie COUTURE, VIS A VIS, No.17, Paris : Vis a Vis International (magazine), Apr. 1996, p.34-39. “Yuki ONODERA”, Brigitte OLLIER, Libération (newspaper), Paris, le 17 jan. 1997. “Yuki ONODERA”, Anna Hiddleston, make (magazine), No.74, London, Mar. 1997. “Le modernisme et l’après”, Dominique BAQUE, Art Press, No.223 (magazine), Paris, Apr. 1997. “ONODERA Yuki-Interview”, Kasumiko MURAKAMI, FIGARO japon (magazine), Tokyo: Madame Figaro International, May. 1997, p.171. 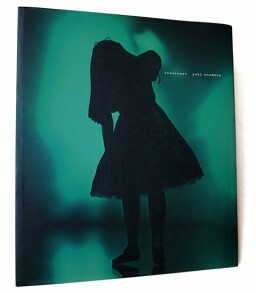 (catalog): The Tokyo Metropolitan Museum of Photography, Jul. 1997, p.164-165. (catalog) Utsunomiya, Japon : Tochigi Prefectural Museum of Fine Arts, Jul. 1997, p.102-109. “Matière à risque”, Caroline SMULDERS, Art Press (magazine), hors série No.18, Paris, 1997. “Entre l’eau, l’air et la terre”, Sophie BELLE, “ Entre l’eau, l’air et la terre (catalog), “ Lyon : Galerie Vrais Rêves, Jan. 1998.
: The Museum Moscow House of Photography, Apr. 1998, p.54. : The Tokyo Metropolitan Museum of Photography, Apr. 1998, p.14-15. “I am a photographer”, Noriko FUKU, “An Incomplete History” (catalog), Rochester, U.S.A.
: Visual Studies Workshop, Jun, 1998, p.3-12. “Down to Zero”, Kotaro IIZAWA, “The Same Generation of Photography”, (book): Miraisha, Tokyo, Feb, 1999. P.90-92. “Yuki Onodera”, Satoshi FUJIKAWA, “Gunma Biennale”, Gunma, Japan: The Museum of Modern Art, Gunma, Aug. 1999.
: The Museum of Modern Art, Gunma, 1999. p.6-7. : The Museum of Modern Art, Gunma, 1999. p.32-37. : The Museum of Modern Art, Gunma, 1999, p.8-9. “Yuki ONODERA”, Yoshiko KASAI, Monthly Art Magazine-Gallery (magazine), Tokyo: Gallery-Station, Aug. 1999, p.58-59. “C.V.N.I., P.N.I.”, Satoshi FUJIKAWA, Taiyo (magazine), Tokyo : Heibonsha, Aug. 1999, p.144. “Yuki ONODERA”, Makoto MURATA, AERA (magazine), Tokyo : The Asahi Shimbun, Sep. 1999, p.81. “Yuki ONODERA”, Hideto AKASAKA, Asahi Camera (magazine), Tokyo : The Asahi Shimbun, Oct. 1999, p.122. “Great Artists of 21century” Ryoko HITRABAYASHI, Chuokohron (magazine), Tokyo : Chuokohronsha, Nov. 1999. “Portrait of Second-hand Clothes”, Satoshi FUJIKAWA, Graph Gunma (magazine), Gunma Japan, Aug. 1999, p.47. “Sensual conceptual photography”, Kohtaro IIZAWA, LOOK JAPAN (magazine), Tokyo : LOOK JAPAN, Dec. 1999, p.20-21. “Yuki ONODERA”, Satoshi FUJIKAWA, BT, Vol.51 No.779 (magazine), Tokyo : Bijutsu Shuppansha, Nov. 1999, p.46-51. “The show of Yuki Onodera”, Tamaki HARADA, BT, Vol.51 No.779, Tokyo : Bijutsu Shuppansha, Nov. 1999, p.165-166. “Zeitgenössische Fotokunst aus Japan”, Peter Funken, KUNST FORUM (magazine), Germany. 2000. p.331. “Yuki ONODERA”, Kohtaro IIZAWA, Asahi Camera (magazine), Tokyo : The Asahi Shimbun, Apr. 2001, p.174-175. “Yuki ONODERA”, Ryu NIMI, BT (magazine), Tokyo : Bijutsu Shuppansha, May. 2001, p.154. “Yuki ONODERA”, Tuyuhiko HINATAU, Tenpyoh (magazine), Tokyo : Art Village, Issue spring, 2001, p.89-90. “Space and Window”, Teppei Khono, Phat Photo (magazine), Tokyo, Sep. 2001, p.113-117. “Yuki ONODERA”, Shino KURAISHI, BLINK (book), London : Phaidon Press, May 2002, p.284-287. : Suiseisha Publications, 2002, p.114-121. “Yuki ONODERA”, Michèle Cohen HADRIA, Art Press (magazine), No.284, Paris, Nov. 2002. P.83-84. “Silhouette of Magical World”, Kohtaro IIZAWA, Asahi Camera (magazine), Tokyo : The Asahi Shimbun, Oct. 2002, p.193. “Shadow / Portrait”, Kyoji MAEDA, Photographer’s Gallery Press (web), Tokyo, Oct. 2002. “Yuki ONODERA”, Yumi TAKAISHI, Tenpyoh (magazine), Tokyo : Art Village, Issue winter, 2002. “Dissimilate Ordinary Scene”, Yuko UEHARA, Brain (magazine), Tokyo : Sendenkaigi, Dec, 2002, p.123. “Yuki ONODERA”, Yasuko IGUMA, Geijyutsushincho (magazine), Tokyo : Shinchosha, Nov, 2002, p.123. “Yuki ONODERA”, Kuniko TANAKA, ZOOM (magazine), Italy, Sep. Oct, 2002, p.14-17. “A little house in the unconscious”, Christian GATTINONI, The Built and the Living, Luxembourg (cat) : Café- Crème asbl, 2002. “Yuki ONODERA / Masafumi SANAI”, Wakato OHNISHI, Asahi Shimbun, Tokyo (newspaper) : The Asahi Shimbun, Mar. 4, 2003. “Yuki ONODERA / Interview”, Masa SAI, Asahi Camera (magazine), Tokyo:The Asahi Shimbun (newspaper), May 2003, p.78-86. “Yuki ONODERA / dialogue”, Akiko OHTAKE, Asahi Camera (magazine), Tokyo : The Asahi Shimbun, Jun. 2003, p.184-187. “Yuki ONODERA”, Kyoji MAEDA, Yomiuri shimbun (newspaper), Tokyo : The Yomiuri Shimbun, May 19, 2003. “Personne est quelqu’un”, Evence VERDIER, PARACHUTE (magazine), No.109, Fev. 2003, Magazine, Canada .p.111. “Illusion and marble”, Toshiyuki HORIE, “transvest”, (leaflet) : C-Square, Nagoya, Japan, Jun. 2003. “transvest”, Takayo IIDA, “Roppongi Crossing” (catalog), Tokyo, : Mori Art Museum, Feb. 2004, p.197-200. ArtChina (magazine), Shanghai, Mar. 2004, vol.3, No.3, p.84-87. “transvest”, Claudia STEIN, Photography now (magazine), Berlin, Apr. 2004. “transvest Works”, Asahi Camera (magazine), Tokyo : The Asahi Shimbun, May 2004. “Transvest”, Dana Friis-Hansen, “transvest”, Artist book, Nazraeli Press, USA, Jun. 2004. “Watch your joint! Roma-Roma”, Interview, Gaden (web), Tokyo, Sep. 2004. “12 artists from Contemporay Art”, Michiko KASAHARA, : The Shinano Mainishi Shimbun (newspaper), Sep. 7, 2004. “Yuki Onodera”, Interview, Hiromi NAKAMURA, Capa (magazine), Tokyo, : Gakushyu-kenkyusha Nov. 2004, p.62. “Roma-Roma”, Shino IKURAISHI, Gendaishitetyo (magazine), Tokyo : Shichosha, Nov. 2004, p.198. : The Museum of Contemporary Art Tokyo, Jan. 2005, p.151-159. “The Photographs of Yuki Onodera”, Atsuhiko SHIMA, : The National Museum of Art, Osaka (cat), Japan, Feb. 2005, p.90-96. : The National Museum of Art, Osaka (catalog), Japan, Feb. 2005, p.104-109. “Yuki Onodera and Les Kiki”, Yoko HAYASHI, News (pamphlet) : The National Museum of Art, Osaka, Japan, Feb. 2005, p.5. “Yuki Onodera”, AtsuhikoSHIMA, News (pamphlet): The National Museum of Art, Osaka, Japan, Feb. 2005, p.6-7. “Yuki Onodera- le corps de l’ombre”, Evence VERDIER, Art Press (magazine), Paris, No.310, Mar. 2005, p.52-54. “Yuki Onodera”, Takahiko HONDA, Monthly Art Magazine-Gallery, Tokyo : Gallery-Station, Feb. 2005, p.22-27. “Yuki Onodera”, Yasuko IGUMA, Geijyutsushincho (magazine), Tokyo : Shinchosha, Mar. 2005, p.90-93. “Yuki Onodera”, Kensaku NISHIDA, Asahi Shimbun (newspaper), Tokyo : Aahi Shimbunsha, Feb. 18, 2005. “Yuki Onodera”, Matthew LARKING, The Japan Times, Tokyo, Feb. 9, 2005. “Yuki Onodera”, Hiromi HAYASE, Sankei Shimbun, Osaka, Japan : Sankei Shimbunsha, Mar. 2, 2005. “Yuki ONODERA”, Gisèle TAVERNIER, Connaissance des Arts, Paris, spécial Photo No.3, Mar. 2005, p.96. “Mis-taken Photography: Yuki Onodera’s show”, Morihiro SATO, BT, Tokyo : Bijutsu Shuppansha, Jun. 2005, p.182-183. “Yuki Onodera’s show”, Akumi MURATA, Soen, Tokyo, Apr. 2005, p.148. “Yuki Onodera’s show”, Shunji MORIMOTO, Ashahi Shimbun, Osaka : Asahi Shimbunsha, Apr. 1, 2005. “Photographic experiment of Yuki Onodera”, Kohji ISE, Shashin no Kai Report, Tokyo, No.56, Mar. 2005, p.15-16. “Yuki ONODERA”, Yasushi KURABAYASHI, SkyDoor web, Tokyo, Jun. 2005. “Yuki Onodera’s show”, Keiko KISHI, Mainichi Shimbun, Osaka : Mainichi Shimbunsha, Mar. 11, 2005. “Yuki Onodera’s show”, Mirai KIMURA, Yomiuri Shimbun, Osaka : Yomiuri Shimbunsha, Feb. 23, 2005. “Yuki Onodera’s show”, Shinji TANAKA, Kobe Shimbun, Kobe Shimbunsha, Apr. 8, 2005. “Portrait of Second-hand Clothes”, Hiromi NAKAMURA, Guide of Photographic History II, Tokyo : Shintyosha, Sep. 2005, P.109. “Yuki ONODERA”, Herman Hoeneveld, KUNSTBEELD, Netherlands, Oct. 2005, p.21-25. “Yuki ONODERA”, Philippe Piguet, L’Œil, Paris, Nov. 2005, P.6-7. “Transcending past experience of perception”, XIAO Xiaolan : Shanghai Art Museum, China, Apr. 2006, p.5-6. “Rendre visible I’invisible”, Alain SAYAG : Shanghai Art Museum, China, Apr. 2006, p.9-10. “Yuki Onodera – Lumière événement”, Isabelle de Montfumat, “Face à Faces”, : AFAA/ADP, 2006, p.70-71. “Yuki Onodera”, Jiang Wei, Art World, Shanghai, Chine, Jun. 2006, p.52-57. “ONODERA”, REN Yanli, Newspaper-Southern Weekly, Shanghai, May. 11, 2006. “Prix Niépce”, Kyoji MAEDA, Yomiuri Shimbun, Tokyo : Yomiuri Shimbunsha, May. 25, 2006. “Yuki ONODERA”, Asahi Shimbun, Tokyo: Asahi Shimbunsha, May. 30, 2006. “Yuki Onodera-Interview”, Akiko TOMITA, New Cosmos of Photography vol.21 (magazine): canon Inc. May. 2006, p.58-63. “Prix Niépce”, Le Monde 2 (magazine)Paris, : Le Monde, May.27-Jun.2, 2006. “Mysterious world of Yuki Onodera”, Kuriko SATO, Marie Claire (magazine) Tokyo : Hachette, Oct. 2006, P.80-85. “Yuki Onodera”, Hiroaki YOSHINO, Meisaku- Shashinkan 30 (magazine) Tokyo : Shogakukan Archive, 2006, P.12-15. “Bellow Orpheus, Eleventh Finger / Interview”, Yuko Koichi, Garden (web), Sep. 2006. “PAYSAGE versus le Bâti, le Vivant minus Territoire”, Christian Gattinoni, La Photographie en France 1970-2005 (book): Culturesfrance, Paris, Sep. 2006, P.55, 67. “Les mondes fluctuants de Yuki Onodera”, Christian Gattinoni, Photo Nouvelles, Paris, No.41, Sep/Oct. 2006, p.46-47. “Yuki Onodera”, Axelle Emden, Culture & Cie, web, October 2006. “Zoom”, Le Monde 2, hors-série 2006 En Images (magazine) Paris: Le Monde, 2006. “ONODERA, la Poétique du réel”, Brigitte OLLIER, Libération, Paris, Nov. 30, 2006. “Strange Clothes, Bee, Bird”, Mi Hyun Kang, Monthly Photography, Seoul, Nov. 2006, p.56-67. “Yuki Onodera’s show”, Aki KUSUMOTO, Asahi Camera (magazine), Tokyo : The Asahi Shimbun, Nov. 2006, .p.302-303. “Quiet another world in camera”, Kyoji MAEDA, Yomiuri Shimbun, Tokyo : Yomiuri Shimbunsha, Nov. 11, 2006. “Below Orpheus”, Yuki Onodera, Jun. 2006.
sous la direction de M. Philippe DAGEN, Paris, Université Paris I-Panthéon-Sorbonne, 2006-2007, P.2-146. “Yuki Onodera-Interview”, Aki KUSUMOTO, Shashin Nenkan, Tokyo : Nihon camerasha, 2007, p.14-15, p.71, p.126, p.169-172. “Bländande luftslott”, Marie Lundquist, Drömmen om verkligheten (book), Journal, Stockholm, 2007, P.84-85. “Defying Gravity”, Mariko TAKEUCHI, JAPAN PLUS, Tokyo, Feb. 2007, p.30. “Below Orpheus”, Asahi Camera, Tokyo : The Asahi Shimbun, Apr. 2007, p.34-42. “Le monde flottant de Yuki Onodera”, Armelle CANITROT, la Croix, Paris, July. 24, 2007. “Yuki Onodera”, Sophie BERNARD, lmages magazine No.23, Paris, July- August, 2007, P80-85. “Yuki Onodera”, Hideto AKASAKA, Tokyo, Pen No.209 (magazine) :Hankyu Communications. Nov. 2007, P84-85. “La fiction du réalisme”, Nathalie BECKER, Wort (newspaper), Luxembourg, Feb. 7, 2008. “Erscheinungen”, Christiane WALERICH, Woxx (newspaper), Luxembourg, Feb. 15, 2008. “Splendeur du noir et blanc”, Marianne BRAUSCH, d’Land Kultur (newspaper), Luxembourg, Feb. 8, 2008. “Invisible Visible”, Le Quotidien (newspaper), Luxembourg, Feb. 26, 2008. P.34. “Yuki Onodera’s Artistic Experiments”, GU Zheng, catalog of Yuki Onodera : Beijing Keumsan Gallery, Apr. 2008, P.4-7. “Japanese photographer 101”, Hiroyasu YAMAUCHI, edit by Kotaro Iizawa (book), Tokyo: Shinshokan, May 2008, P.186-187. “Nature alive in the mirror”, Kyoji MAEDA, Yomiuri Shimbun, Tokyo : Yomiuri Shimbunsha, Sep. 6, 2008.
: Tochigi Prefectural Museum of Fine Arts, Jul. 2009, p.114. “Yuki ONODERA”, Azure WU, ArtChina vol.8 (magazine), Shanghai, May 2009, P.49. “Le chaud et le foid”, Dominique Baqué, Art Press (magazine), Paris, No.360, Oct, 2009, p.100-101. “Yuki Onodera’s labyrinth”, Tomoko OKABE, Hanga geijutsu No.146 (magazine), Tokyo : Abe Shuppan, winter, 2009, P.90-95. “Roma-Roma: A Metaphor With No Need of A Code”, Fan Lin, Exhibition : The Photograph’s Enticements to the Brush, Shanghai, April, 2009. “Yuki Onodera Into the Labyrinth of Photography”, Interview, eyes vol.66 (magazine), Tokyo Metropolitan Museum of Photography, Jun. 2010. “Yuki Onodera A Creative Journey over Two Decades”, Tomoko OKABE, Exhibition catalogue “Yuki Onodera”, Tokyo Metropolitan Museum of Photography, Jun. 2010, P.156-173. “The Photo Box of Yuki Onodera”, Kyoji MAEDA, Exhibition catalogue “Yuki Onodera”, Tokyo Metropolitan Museum of Photography, Jun. 2010, P.174-183. “Incongruous and Immobile”, François Cheval, Exhibition catalogue “Yuki Onodera”, Tokyo Metropolitan Museum of Photography, Jun. 2010, P.184-188. “Eleventh Finger”, Yuki Onodera, Asahi Camera (magazine), Tokyo : The Asahi Shimbun, Aug. 2010, p.227. “Pursuing possibility of the photograph expression”, Keiko KISHI, Mainichi Shimbun (newspaper), Tokyo : The Mainichi Shimbun, Aug. 3, 2010. “Yuki Onodera : Into the Labyrinth of Photography”, International Herald Tribune (newspaper), Tokyo : Herald Tribune, Aug. 6, 2010. “Various, fertile expression”, Atsuo OGAWA, Nikkei Shimbun (newspaper), Tokyo : The Nikkei Shimbun, Aug. 11, 2010. “Enigmatic photograph”, Kyoji MAEDA, Yomiuri Shimbun (newspaper), Tokyo : The Yomiuri Shimbun, Aug. 12, 2010. “Expression such as chaos or the treasure chest”, Hideto AKASAKA, Tokyo, Pen No.275 (magazine) : Hankyu Communications. Aug. 15, 2010. “Yuki Onodera : Into the Labyrinth of Photography”, Atsuhiko SHIMA, Sankei Shimbun (newspaper), Tokyo : The Sankei Shimbun, Aug. 20, 2010. “Idea and work beyond the photograph”, Atsuhiko SHIMA, Sankei Express (newspaper), Tokyo: The Sankei Shimbun, Aug. 24, 2010. “The labyrinth for exploring photography limit”, Tomoari TSUKAHARA, Sankei Shimbun (newspaper), Tokyo : The Sankei Shimbun, Aug. 25, 2010. “Yuki Onodera’s exhibition”, Capa (magazine), Tokyo : Gakushyu-kenkyusha Aug. 2010. “Discovery of the new senses and thoughts”, Koichi MASUKO, Sekai Nippo (newspaper), Tokyo: Sekai Nippo-sha, Sep. 11, 2010. “The trick for earnestly face to face”, Kensaku NISHIDA, Asahi Shimbun (newspaper), Tokyo : The Asahi Shimbun, Sep. 1, 2010. “Dialog : Yuki Onodera x Shigeo Goto”, High Fashion (web-magazine), Tokyo, Sep. 7, 2010. “Yuki Onodera : Into the Labyrinth of Photography”, Yoko Kawashima, Voice No.393 (magazine), Tokyo, Sep. 2010. “Yuki Onodera” Kenji TAKAZAWA, Nikkei Business Associé (magazine), Tokyo, Sep.7. 2010. “Yuki ONODERA-Interview”, Tomoko OKABE, BT (magazine), Tokyo : Bijutsu Shuppansha, No.944, 2010, p.153-167. “Evoke freewheeling story”, Hideo FURUKAWA, Chugoku Shimbun (newspaper), Tokyo : The Chugoku Shimbun, Oct. 9, 2010. “Yuki Onodera: Anti-Photographic and Photographic”, CHOI Bong-rim, Exhibition catalogue “Yuki Onodera”, Museum of Photography, Seoul, Sep. 2010. “Two Roma”, Kenji TAKAZAWA, Men’s No-Non (magazine), Tokyo : Shueisha, Sep. 2010. P.282-283. “Yuki ONODERA-Interview”, Shinichi UCHIDA, Public Image (web-magazine), Tokyo, Aug. 2010. “Into the Labyrinth of Photography”, Hitomi KOYAMA, Art World (magazine), Shanghai, Oct. 2010, p.116. “Yuki ONODERA-Interview”, PIE BOOKS, (magazine), Tokyo, May 2011. “Yuki ONODERA-Interview”, Kohtaro IIZAWA, Shashin Nenkan, Tokyo : Nihon camerasha, 2011, p.89-93. “Onodera, D’inédites énigmes /Interview”, Phillipe Piguet, Art Absolument (magazine), Paris, No.44, Nov.-Dec., 2011, p.82-89. “Yuki Onodera, Apesanteur”, Guillaume Morel, Connaissance des Arts Photo (magazine), Paris, No.28, Nov. 2011, p.76-77. “Yuki Onodera, Photographe Illusionniste”, Natacha Wolinski, Le Quotidien de l’Art, Paris, Nov. 30, 2011, p.5. “How to travel from your room”, Jean LOH, Art China, Shanghai, No.8 (magazine), Oct. 2012, p.26-29. “World is not small”, Jean LOH, Shanghai Morning News, Shanghai (newspaper), Nov. 11, 2012. “Yuki Onodera”, Anne KERNER : Interview, ouvretesyeux (web magazine), Paris, Oct. 2013. “Yuki Onodera : Interview”, France NewsDigest No.989 (newspaper), Paris, Dec. 5, 2013. “What about a photographic that is not photographic?”: Symposium “In Praise of Singularities in Contemporary Japan”, INALCO, Paris, Dec. 19-20, 2013. “The Sanctuary of the Topsy Turvy”, KONG Yen Lin, 2902 Gallery (flyer) Singapore, Jan. 2014. “Photo opportunity”, Rachel LOI, The Business Times (newspaper) Singapore, Jan. 10, 2014. “View from the Window”, Jean LOH, Baugeste Gallery (catalogue) Shanghai, Jun. 2014. “View from the Window”, Jean LOH, L’Œil de la photography (magazine) Paris, Jun. 26, 2014. “Chacun Ensemble”, (Exhibition Mille miroirs dans la forêt), Frédérique CHAPUIS, Télérama Sortir (magazine), Paris, Nov. 26, 2014. “Making the Eleventh Finger”, Yuki Onodera, Eleventh Finger (book) art beat publishers, Tokyo, Nov. 2014. “Les corps biaisés d’Onodera”, Clément GHYS, Libération (newspaper), Paris, Jun. 2, 2015. “Décalages”, Zaha REDMAN, La Gazette Drouot (magazine), Paris, May 2015. “Yuki Onodera Muybridge’s Twist”, Kohtaro IIZAWA, Artscape (web magazine), Tokyo, Oct. 2015. “The return of Perceptivity”, Lin YE, Yuki Onodera-Art Basel Hong Kong, Vanguard Gallery (catalogue), Shanghai, Mar. 2016. “Yuki Onodera: Ethics in photography“, Michael Lucken, Exhibition cataloque : Yuki Onodera, Pierre-Yves Caër Gallery, Paris, 2017.